Dimension N (2.0) is a digital audio-visual performance by the duo Alba G. Corral (graphic/digital artist from Barcelona) & Dariusz Makaruk (producer / composer of contemporary music and electronic systems from Warsaw). They combine generative systems with improvised digital drawing techniques. Dimension N makes the audience dive in different immersive landscapes and digital paintings mixed with a virtuoso electronic music close to the approach of North American minimalists. Dimension N 2.0 is co-produced with Transcultures, an MAP program initiated by the Pépinières européennes pour jeunes artistes, with the support of Ministry of Culture of the Federation Wallonia-Brussels, Belgium. DIMENSION N (Alba Corral & Makaruk) is a Grand Prizewinner of the Compétition Internationale Bains numériques #9, by the vote of professional Jury : Larrieu Danyel / Philippe Franck / Takuya Nomura / Michèle Robine / Jean-Paul Fourmentraux. 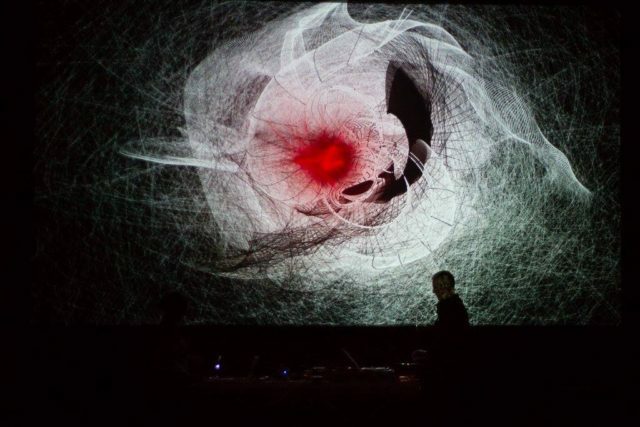 Their system of audiovisual performance is based on custom software written in Processing environment by Alba G. Corral – and also in Max/MSP Jitter environment written by Dariusz Makaruk which allows for realtime zero latency OSC synchronisation and custom playback technique of audio and video. Alba Corral [ES] www.albagcorral.com Artist and creative technologist based in Barcelona. With a background in computer engineering, Corral has been creating generative art using software and coding for the past decade. Her practice spans across live performance, video, digital media and installation, exploring abstract narratives and expressing sensitivity and taste for colour. By combining generative systems with improvised drawing techniques, her digital language becomes organic, creating mesmerising digital landscapes. 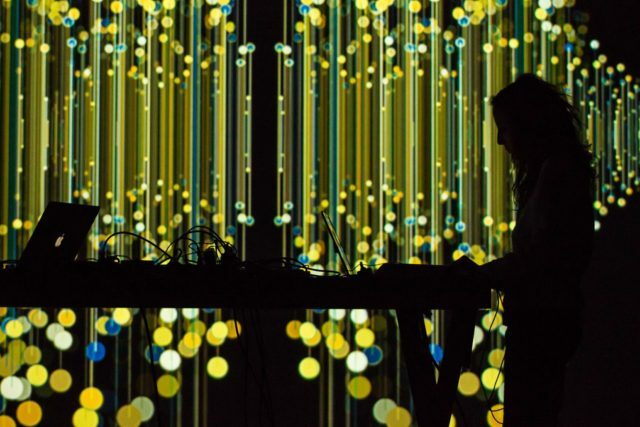 Corral is known for her stunning live audio-visual performances where she integrates real-time coding and drawing in collaboration with musicians. She has performed with renowned musicians such as Jon Hopkins, Miguel Marin (aka Arbol), Fibla, Stendhal Syndrome and Jacaszek. Her works has been exhibited at festivals and events including Future Everything, Alpha- ville Festival, Sonar, Primavera Sound and LEV. 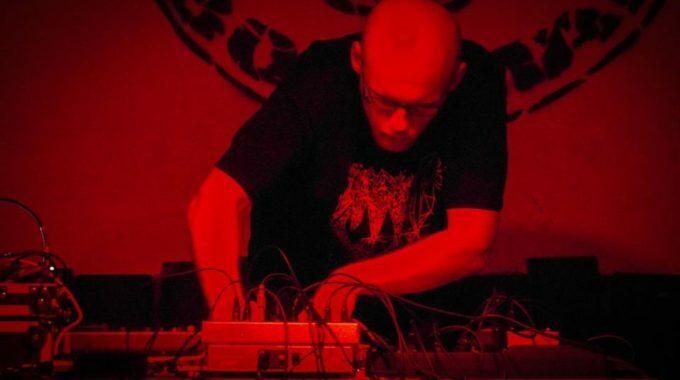 Dariusz Makaruk [PL] www.makaruk.net Music producer, live electronics musician and audiovisual performer. Lives and works in Warsaw, Poland. As a music producer and performer he plays his own electro-jazz and experimental electronics music repertoire. He is a member of Polish Society for Electroacoustic Music (PSeME) – a Polish department of CIME/ICEM in Bourges supported by UNESCO. He coproduces contemporary jazz music projects and plays with renown jazz music performers Tomasz Stanko, Michal Urbaniak. 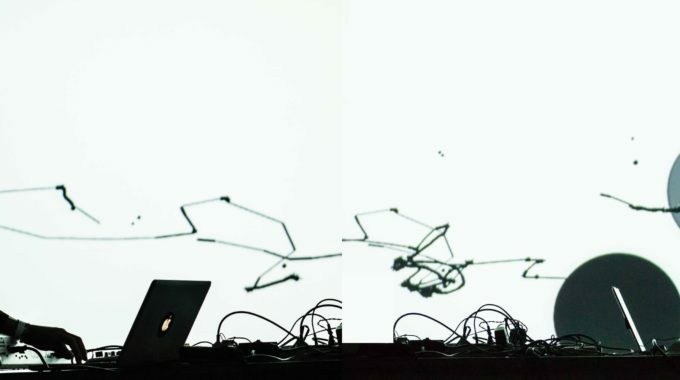 As an audiovisual performer he creates interactive installations using own author’s software written in Max/MSP Jitter and Java and also creates large-scale architectural 3D video mappings. He writes custom software for theatres and uses it for stage light, sound and video engineering live (cooperation with Mabel Octobre Theatre, France). Makaruk performed on festivals including: CYNET Art Festival 2008 Dresden; Festival Synestheses 2006, Bourges; Sperm Festival 2007 Prague; Viathea Festival 2005, Gorlitz; Fusion Festival 2006, Germany; Polsk Jazzfestival 2004, Stockholm; Klubb Europa DJ Tour 2007, Sweden; Polish Sound Art in China Festival 2006; Mood Indigo Festival 2008, Mumbai, India; Audio Art Festival 2009, 2013, 2015, Cracow. He is an initiator and Artistic Director of Moving Closer Innovative Art Festival organised in Warsaw, Poland and Laserowa Noc Festival. Z początkiem kwietnia Niechęć zaprasza na długo wyczekiwany sequel ,,Śmierci w miękkim futerku”, zatytułowany po prostu ,,Niechęć”. Zespół bezkompromisowo wybrnął z syndromu drugiej płyty wyrzucając ją do kosza i… nagrywając od razu trzecią. O ile w pierwszych minutach dobiegają nas jeszcze echa debiutu, tak chwilę później wprowadzona zostaje zupełnie nowa, niezwykle osobista opowieść. Mroczna choć nastrojowa, agresywna acz pełna elegancji. Jazgotliwy odjazd zarejestrowany ,,na setkę” i zapięty w kaftan najwyższej klasy produkcji studyjnej. Jazzowa improwizacja i syntezatorowe brzmienia swobodnie przeplatają się tu z wpływami rocka progresywnego oraz muzyki filmowej, wymykając się wszelkim próbom zaszufladkowania. Őszibarack – polski zespół muzyczny założony w 2004 we Wrocławiu, którego stylistyka to połączenie alternatywnej elektroniki oraz popu i tanecznych brzmień. MGI was created in 1995 by Moscow musicians Arkady Martinenko of Megapolis, Heat of the Earth and the Eject Project, and Boris Nazarov. Together with the „Ministry of Psycho” project, MGI played a number of live electronic concerts for the independent experimental radio station „Substation”. These concerts paved the way for the project’s first studio album, Surround Wednesday, released by independent label Citadel Records in 1997. Over the next fourteen years, the band performed in France, Germany, Monaco, Poland, Romania, Ukraine, Lithuania, Latvia, and Japan. 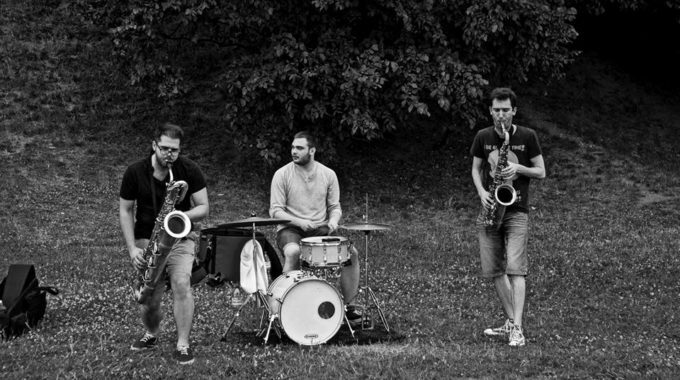 They also took part in a number of international music festivals, including Kazantip (Ukraine), Subtropique (Georgia), Popkomm (Germany), Grimaldi Forum (France), Nu Jazz, NOKIA Lab (Russia), and MIDEM (France). 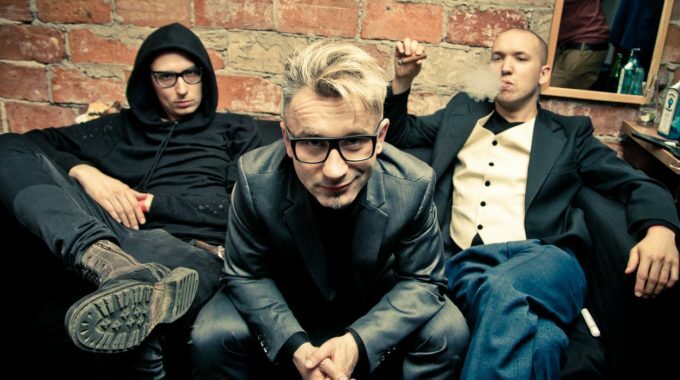 The band’s third member, Sergei Belyaev joined in late 1998. He participated in the recording of MGI’s second album, Pizza. The musical style of this album was funk with elements of drum-n-base and ethnic trip hop. 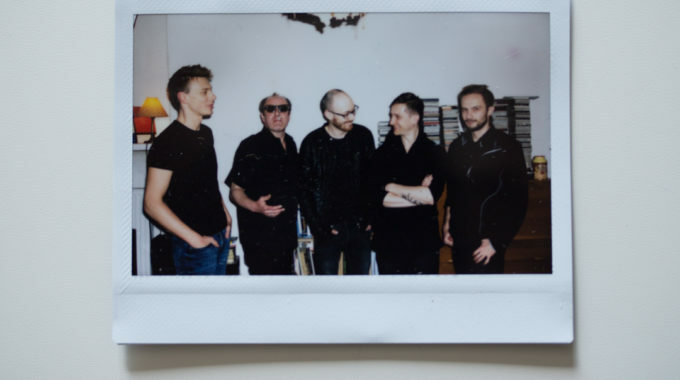 The Moscow Grooves Institute also invited Sergei Klevensky and the members of the Detsky Panadol project to take part in the recording of the album. In 2000, MGI released a new album, Commercial and also filmed four videos for the compositions “Stereophonique”, “Voyage”, “2 professors”, and “Dancing”. 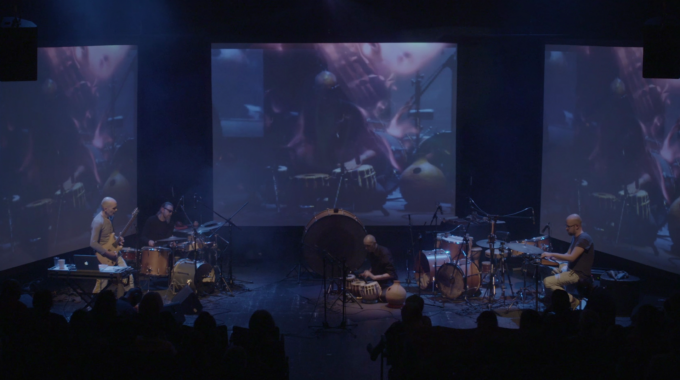 Later videos included “Les Chrysanthemes” (2001) and “Na Zare” (2003). The videos have been shown on MTV Russia, Muz-TV, Music Box, A One, and O2TV as well as on Ukrainian and Belorussian musical channels. In 2001, MGI joined with the Mummy Troll» to record a version of Victor Zoy’s song “Malysh”, which remained at number one on Radio Maximum’s music chart for several months. In June 2002, MGI released their new album Tangibility. Such well known foreign labels as Netlmage Foundation (Great Britain) and MPLS. Ltd (USA) released vinyl singles from the album. The project’s fifth studio album, Les Etoiles Sont Plus Proches Avec Les Yeux Fermes was released in April 2006, although it had been in preparation since 2003. Olga Noel contributed to the backing vocals on this album, along with MC Chevy of German rap band N.O.H.A., and Daria Rodcher. 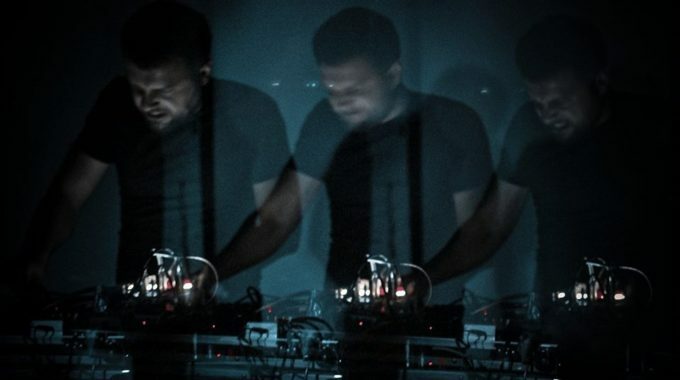 The MGI project reached the finals of several international electronic music contests. 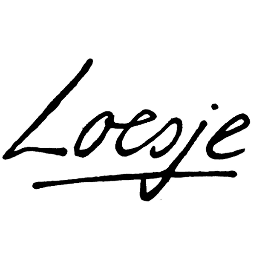 Their tracks are often included in music compilations issued by such foreign record companies as Pork Recordings, George V, Les Maquis, Pschent, and Petrol Records. 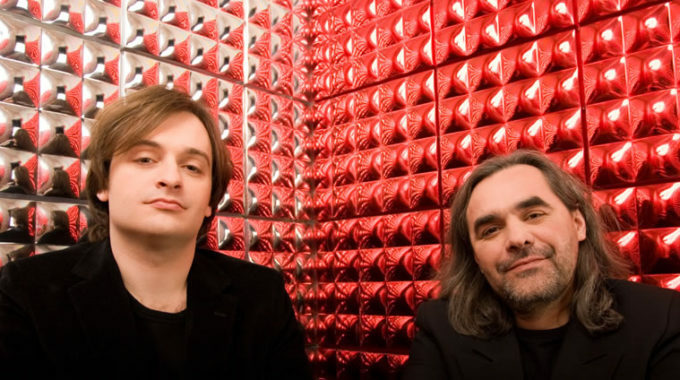 Arkady Martinenko and Boris Nazarov wrote the musical scores to the films Native and IDtimate (2007) and Dance, Don’t Stop (2007), directed by E. Lavrentiev. They have worked on the remixes of compositions by t.A.T.u., Vitas, Mummy Troll, Enrique Iglesias, and Alsou, and have composed music for TV advertisements. In 2007, Citadel Records released a multi-color version of the Moscow Grooves Institute’s debut album Surround Wednesday, partly rearranged by sound producer Sofia Kruglikova. In 2009 a performance by Moscow Grooves Institute and Olga Noel opened the concert program of the forty third MIDEM. They are currently working on a sixth studio album. 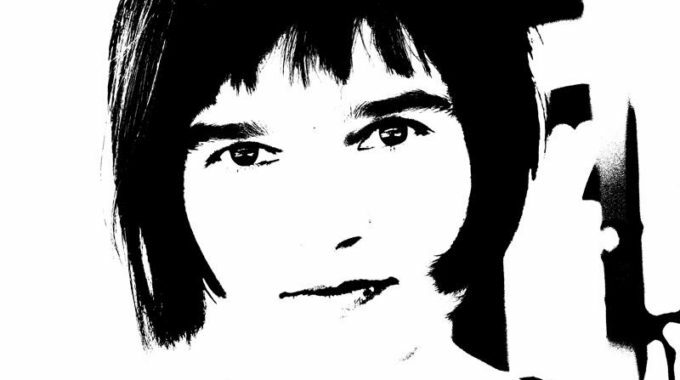 Projekt utrzymany w stylistyce harsh noise stanowi rozwinięcie i sprecyzowanie poprzedniego przedsięwzięcia Dawida Kowalskiego, tj. SLEEP SESSIONS (aktywny w latach 2005-2013). PURGIST poświęcony jest eksploracji dynamicznych, niespójnych faktur brzmieniowych, miejskich nagrań terenowych, cyfrowych artefaktów i szczątkowej melodyki o intymnym charakterze. Złożone struktury dźwiękowe łączące w specyficzny sposób elementy takich gatunków jak drone, harsh noise i ambient, przesiąknięte psychodelicznymi wątkami. W rezultacie, Rez Epo zawiera w sobie zarówno rozwlekłe quasi-ambientowe pejzaże, jak i bardziej radykalne formy dźwiękowej ekspresji.